From overall customer reviews to functionality and ease-of-use, we are rating the best food processors money can buy. We included food processors that cost less than $20 and others that tipped the scales (and robbed our wallets) at over $1,000. A food processor with a price tag over $1,000 is typically commercial-grade, and you’re paying extra based on the fact it can run continuously without issue and take care of larger quantities of food at once. Luckily, if you don’t need a commercial-grade unit, even some of the “fanciest” consumer-grade models average closer to $200. Here are some of the best food processors based on overall value, customer reviews, and functionality. This splurge-worthy food processor offers features that no other machine on this list can compete with. Starting with 12 Smart Programs designed by chefs. Each program offers uniquely and precisely calibrated patterns of pulsing, pausing, and speed based upon whatever your recipe calls for. It is the highest-powered machine on this list as well, packing a 1,200-watt Smart Base. Customers love how easy it is to use thanks to features like the Smart Base, which can recognize each attachment and automatically change its setting options on the touchscreen display. It can crush ice or whole fruit in seconds. 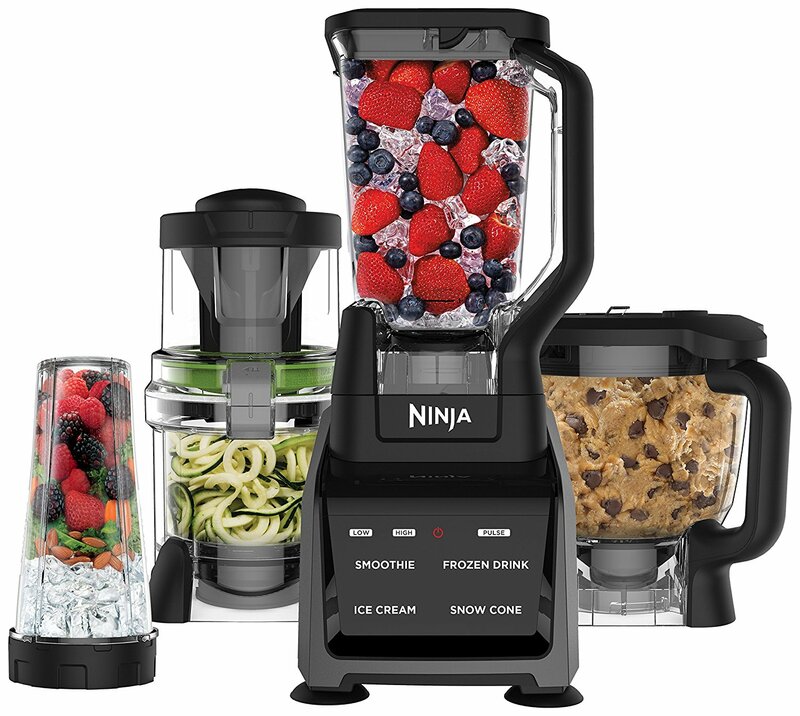 This Ninja chops, purees, and makes delicious smoothies. It even comes with an auto-spiralizer feature so you can turn veggies and fruits into noodles for a healthy-twist on spaghetti. To top it all off, this model comes with both a fettuccini and spaghetti blade. Despite all this machine can do, it weighs just 10.4 pounds, that’s less than the other ‘best food processors’ on this list that offer half as many features. At under $20, this mini food processor is a steal of a deal. 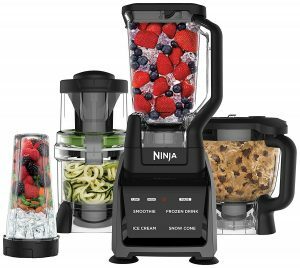 The Ninja Express can mince, chop, and grind a variety of ingredients and foods. Customers love the ergonomic designed power head because it is easy to use and allows you to chop fine ingredients. The one-touch power pod provides perfect results in seconds. Backed by a warranty, but since the customer is responsible for shipping costs, it ends up costing the same to buy a new one. All detachable pieces are dishwasher safe, which makes clean-up a breeze. The one issue customers report is food getting stuck in the cracks where the motor is located. To remove the build-up, simply take a piece of foil and fold it in half for thickness. Push the foil through the top part and pull it back out so all the dried pieces of old food fall out. Reduce the issue in the first place by using shorter pulses to blend. 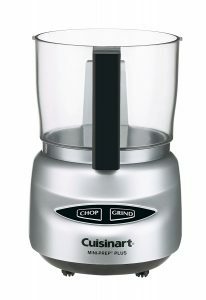 The popularity of the Cuisinart Mini Food Processor makes it an undeniable addition to this list. After all, it has nearly 4,000 customer reviews! 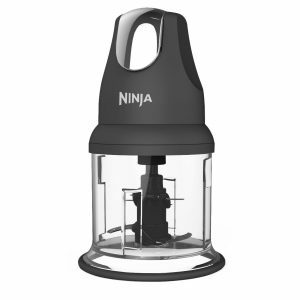 It offers an additional 50-watts of power compared to the Ninja mini. But, because it has a slightly higher percentage of negative reviews, it slides into second place. Customers love that it is dishwasher friendly and easy to clean. 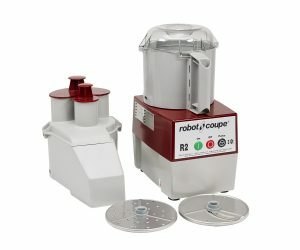 They also love the patented, reversible, and stainless-steel Auto Reversing Smart Blade that makes this versatile food processor ideal for soft and hard foods. There are touchpad controls for simple device operation. This food processor is not intended to grind beans, it is made to chop. Comes with a 24-ounce (3-cup) work bowl with attached handle. At just $30, this cheap food processor packs more power than similarly priced mini food processors. 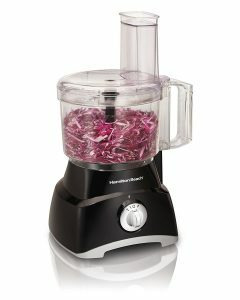 With 450-watts of power, the Hamilton Beach food processor offers two speeds and pulse options. The stainless steel 5-blade design is specially engineered to chop, puree, and mix a wide variety of foods. It can also shred and slice thanks to its reversible stainless-steel slicing and shredding disc. Did we mention the large feed chute can fit an entire block of cheese and just imagine what else, oh cooking joy! Not only is it one of the best cheap food processors, it’s also one of the best compact food processors. The lid is designed to flip down for compact storage. 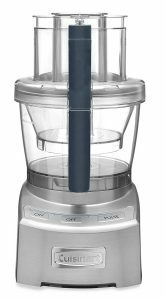 This food processor offers supreme chopping power with its 1,000-watt Peak Power Motor. It’s easy to use too, thanks to the electronic touchpad featuring On/Off/Pulse and blue LED lights. A couple people complain that the lights can be annoying because they stay on all the time. If this sounds like the kind of thing that might bug you, it’s worth considering another option on this list. 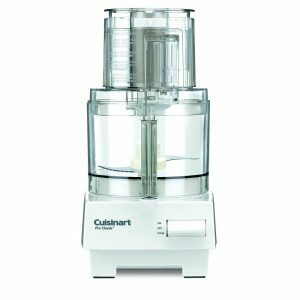 The Elite Cuisinart Food Processor is made from high quality Die Cast. It is advertised as “multiple food processors in one” because of the 4-cup working bowl that sits inside a larger 14-cup work bowl. It comes with an adjustable slicing disc and a reversible shredding disc. Additionally, each bowl comes with a stainless steel S blade. It’s far from silent, but this model is relatively quiet and smooth to operate. Comes with a 5-year full-motor warranty instead of a 10-year full-motor warranty. It comes with a 7-cup working bowl as opposed to a 14-cup working bowl. This model packs a 600-watt motor and comes with a 7-cup work bowl. It also comes with an extra-large feed tube to accommodate whole fruits and veggies, as well as a smaller feed tube for slicing smaller items. As one of the best food processors, the DLC Pro is quiet and powerful enough to knead thick batches of dough without issue. After all, the multifunctional and stainless-steel discs are all about precise slicing and shredding. While the stainless-steel blade is made to chop, mix and can even stand in as a dough blade. If you need a fan-cooled motor that can continually run without fault, this commercial-grade food processor is a highly rated option. The direct drive motor is fan-cooled for superior performance and longevity. People have higher expectations for products they pay more money for, like a $1,000 food processor. The fact that this device has all 4 and 5 star reviews stands in proof that it is worth every penny. This machine is built to last for YEARS, and that’s why it’s ranked as one of the best food processors out there. If you liked our list of the best food processors on the market today, be sure to also check out our article ranking the best vacuum sealers for wild game! With all the work that goes into harvesting wild game, make sure you preserve the flavor with a quality vacuum sealer! You can also read about our picks for the best meat grinder here!